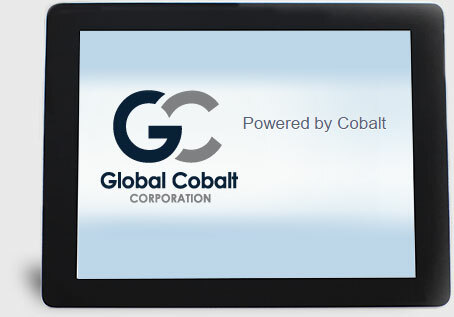 A professional website design for Global Cobalt had to emphasize the benefits and uses of Cobalt as a strategic metal and provide a strong navigation with a clear path for each type of user. For example in the Investors section the Corporate Vision is not buried in the About Us section, the Stock Information is using a custom control in the content management system to pull the TSX detail onto the site. On the same page is a quick reference to Press Releases which holds the investor and improves their engagement. Why is this important from an online perspective? The objective of good design and user experience is to provide enough information to make them move from a passive state to an active state. Essentially Request information, view a slideshow, join a newsletter, follow Twitter and Facebook or simply pick up the phone and call a broker or make a request via email and the contact form. By controlling the flow of information you can prompt them to contact you at the right time and place. These details are often the differences between delivering a professional website design or an amateur design. One example is the tabbed interface design on the Financial and Annual Reports section found in the company pages. By allowing the user to quickly tab through the years you provide a better experience than having this in the secondary navigation on the side. Again customization to the content management systems provides for a better delivery of information. The Homepage design features specific calls to action and great graphics to emphasis the benefits and uses of Cobalt as a strategic metal. This is an educational point and draws the viewer into the section on “What is Strategic about Cobalt” This provides the opportunity to carry out Content Marketing for the company through the inclusion of keyword rich content with specific purpose and flow. View the section pages on Supply; Demand; Applications; and Cobalt News to see carefully crafted content. Note the use of strong info graphics and image to support the points being made like this. 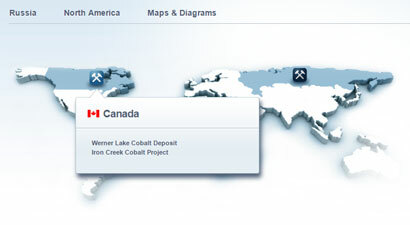 Custom Exploration & Mining Software in the system allows Global Cobalt to post and edit technical specs and information on each deposit or mine. All from one uniform and highly optimized page. The Reports section of the website is a great tool for Brokers and Analysts to compile documents on the company for their own use. This custom control gives the user the ability to select a number of pages from the site and have them generate a PDF document. In essence build their own report on Global Cobalt. This is a great custom feature and takes office time spent on communication and support and moves this on line and in to the hands of the user. Custom software, tailored pages, careful planning of user flow and delivery of rich content with strong calls to action all combined in this professional website design. 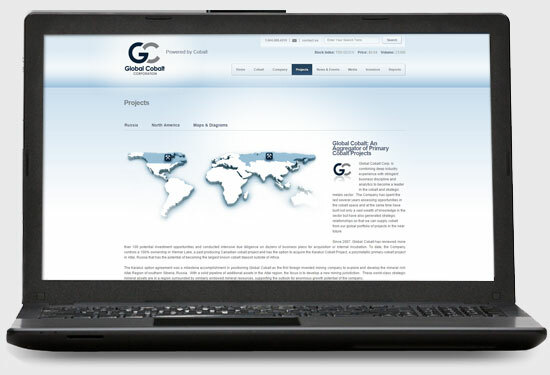 A great example of how experience in website development can make a difference for a company.